Avengers: Endgame is setting itself up to make all of the money on its opening weekend, as ticket presales for the finale indicate that the movie has the potential to outgross its predecessor Avengers: Infinity War (at least on the opening weekend). Now, Endgame is taking things to an entirely different level: it’s outpacing the first week of ticket sales for Infinity War on a scale of five to one. For frame of reference, that’s almost twice as much as the presold tickets for Aquaman, The Last Jedi, Infinity War, and Captain Marvel combined! 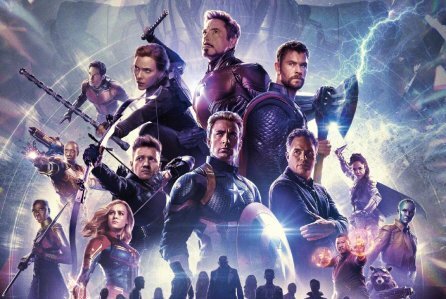 Currently, Endgame is expected to have an opening weekend of anywhere between $200M to $260M, with the potential to go as high as $300M under ideal conditions. With presales being as excellent as they are, expect all of those numbers to rise as we get closer to the movie’s release date. This in spite of a three-hour runtime that would typically hinder the amount of screenings that a movie like this could have. Theaters are instead adding new showtimes around-the-clock to accommodate for the sheer amount of demand that this closing chapter to the Infinity Saga, which will resolve multiple character arcs for the existing lineup of Marvel superheroes and will leave the door open for plenty more to join.